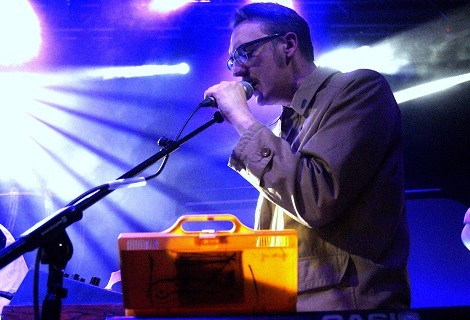 Public Service Broadcasting play Liverpool this week, Getintothis’ Elliot Jessett catches up with band member J. Willgoose on the run up to the show. In today’s music industry, pitching concept albums about space and the second world war might be a tough sell. 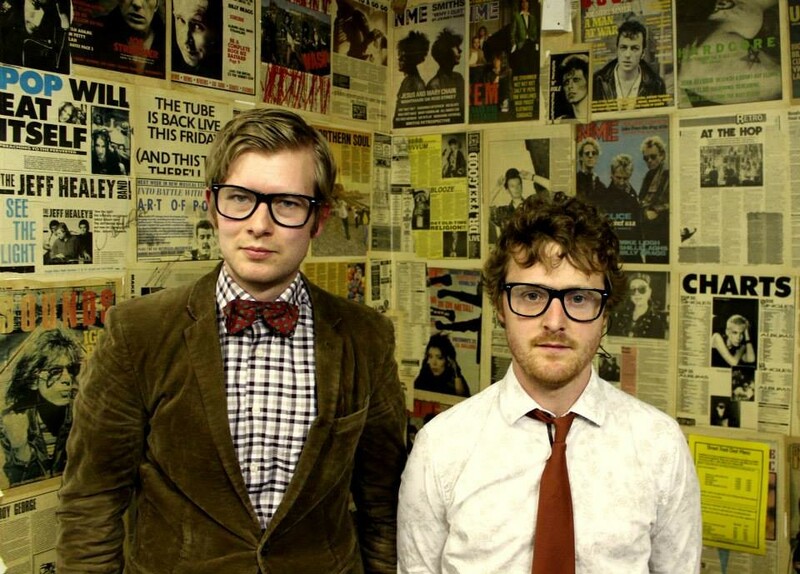 However, Public Service Broadcasting’s first two albums were exactly that – visceral soundscapes exploring the universality of human experience through the prism of history’s most seminal moments. Their experimentation with both sound and film have seen them furrow a rich seam that produces a sublime and cacophonous mixture of intellectual and emotional enlightenment. PSB’s latest album, Every Valley examines the growth and the subsequent demise of the Welsh coal mining industry and confirms their status as one of the most innovative and challenging acts in world music. We chat to the band’s J. Willgoose on the run up to their show at the Olympia. Getintothis: You recorded Every Valley in the mining town, Ebbw Vale – in terms of the content of the album, how important was it for you to be based in that community? We thought about the right way to do the album and it was important to set up in the valleys because of the subject matter but, I don’t believe in the idea that you can only write about things you have been born into. I heard Lionel Shriver talk about the dangers of that idea and I broadly agreed with what she said. I don’t think there’s anything stopping you from writing about stuff that’s not familiar to you as long as you do the research and go into it with a spirit of humility and engagement and openness and understanding of the fact that you have to earn that right to tell the story. There’s also the added benefit of coming to a story with a naivety. If you are divorced from the context then you have the opportunity to come at the story from new angles and new perspectives. The ongoing support and compliments from that community tell me that we got the balance right. Getintothis: What initially drew you to the subject of the welsh mining industry? Every Valley was a chance to engage with a more political subject – certainly something more grounded than previous albums because the space missions and figures like Neil Armstrong are somehow, less grounded in reality to some extent. In the context of the Trump situation and Brexit, it got us thinking about the beginning point of these events such as the decimation of worker’s rights, disenfranchisement, alienation and the breaking down of the trade union movement. The miner’s story is a really good area in which to examine these issues. This was an industry which was completely destroyed – motivated through ideology and a callousness of approach which can be characterized as chopping an arm off and seeing what would grow back. The album was all about joining these dots together and tell a story that is nuanced but also relevant to today’s world. Getintothis: What was your key into the story and is there a particular song on Every Valley that brought encapsulated your thinking on the subject? Progress is such an important song on the album because we wanted to explore the ramifications of what our societies deem as progress. What might be deemed as progress for humanity as a whole – moving away from coal which is a dirty form of energy and a dangerous occupation certainly has a lot to be argued for but, the way in which it was done and the people who were left behind is a story we wanted to tell and the story on which this whole album is centered around. Getintothis: In these turbulent times of austerity, Trump, Brexit et al. What do you consider to be the role of the artist and do you feel a responsibility to reflect the times in which we live? It’s about taking risks and presenting some challenges to your audience and I don’t think you can call it art if it’s not challenging – if it’s pure escapism then it’s just entertainment. I feel like, in the years since 2008 and the ensuing downward spiral, I don’t really know why you would sit outside of that and say nothing about it. This album was about finding a voice and trying to articulate something about the wider world. Even a band like The Beatles, who you wouldn’t think were an overtly political band, went on a journey which was very political and were reflecting the times they were in and they opened up their audience to the ideas and conversations happening in those times. Unless you’re doing something like that, unless you’re contributing something useful then you have to ask the question of why you’re doing what you do and what’s the point of it. Getintothis: You use a lot of archival film footage and samples – talk to us a bit about the process of selecting that footage and partnering it with the music. In terms of this album, I had a lot of ideas swirling around. With Progress, I just had this line ‘I believe in progress’ and I thought it possible to make that about the mechanization of the pits and the challenges of automation – present it as a good thing but layered with a very dark irony. I had an idea for a riff but, at the same time, I’m going through the BFI archives and searching for anything around welsh coal mining and technology – I’d look through all that footage and then try to blend the ideas together. I remember finding the clip ‘these men look the same as they always looked but, before your eyes they’re changing’ and thinking that it was perfect for the song and the album. It also fitted the idea of talking about man and machine in a way that added to our own slightly pretentious, self-referential mythology and the notion that we are changing before your eyes with the work we are trying to do. Getintothis: You collaborated with James Dean Bradfield on Turn No More – how did that collaboration come about, how was it working with James and what did he bring to the table? We were supporting the Manics in Swansea and I managed to ask him backstage and he said yes! There’s a moment when I’m sitting there and I’m thinking ‘I’m about to work with the guy who wrote The Holy Bible’ so I had to have a word with myself as James is not one for indulging in airs and graces and is solely interested in the work and working together. His voice is an amazing instrument! I remember him coming down and I was playing him the basic idea for the track and giving him a couple of suggestions around melodies and lyrics and then, out of nowhere, he just belts out this amazing vocal – the whole room was just reverberating with his energy when this amazing instrument came alive. I’ll never forget that. Getintothis: You’re playing Liverpool on Thursday night. what can we expect from the show? We’ve been coming to Liverpool for a number of years and it’s always been a good show. Liverpool is a city you can’t mess around with – it’s a proper place with a proper spirit and they can find you out pretty quickly so to have had the response we’ve had is a huge compliment. The last show we did was at the Academy and we hadn’t been to Liverpool for a while and we were blown away. The night was a perfect blend of energy, slight rowdiness and an air of reassurance and it was definitely my favourite night from the last tour. We’re playing the Olympia this time and I’ve seen pictures of the room and it looks amazing. So, hopefully the night will be just as good as last time.